With the holidays coming, many are looking for gifts with lasting value. Here are a few suggestions. 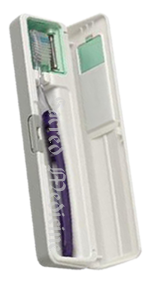 There is a small UV light that faces the bristles of the toothbrush when it is placed in the holder inside the case. When the lid is closed, the light comes on and begins to sterilize the brush. Within 5 minutes, the germicidal light will significantly reduce the germs on your toothbrush. The light shuts off automatically and batteries last quite a while. The unit is lightweight and ideal for use at home, work, school or while traveling. Contains: One Toothbrush Sanitizer. Requires two AAA batteries (not included).. This convenient device is easy to slip into a pocket or handbag to sanitize objects or surfaces where hygiene is critical. Use it on objects handled by others, on countertops, lab equipment, faucets, doorknobs, and just about anything where germs and mold might be lurking. It works in seconds and has an automatic safety shut-off switch. 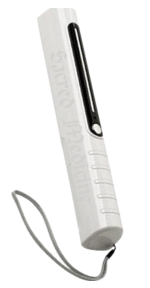 Contains: One UV Sanitizer Pocket Model with Clamshell design. Requires four AAA batteries, not included.. This sanitizing wand has a larger ultraviolet light than the model used for sanitizing toothbrushes. It is intended to be waved over surfaces suspected of harboring bacteria, viruses, or mold. 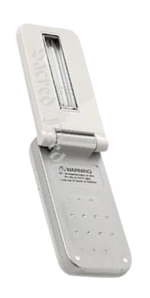 It is operated by pushing a button and has an automatic safety shut-off switch. It is not a toy and should never be aimed at a person but used seriously in areas requiring proper hygiene. Contains: One Sanitizer Wand. Requires four AA batteries, not included.. 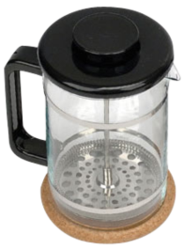 These presses can be used to make exquisite coffee or tea by pouring water over freshly ground coffee beans or loose leaf tea. They can also be used to filter out the bulk of the particulates when making medicated oils or your herbal extracts. Contains: This unit is made of glass with stainless steel press attached to the lid. It is dishwasher safe..